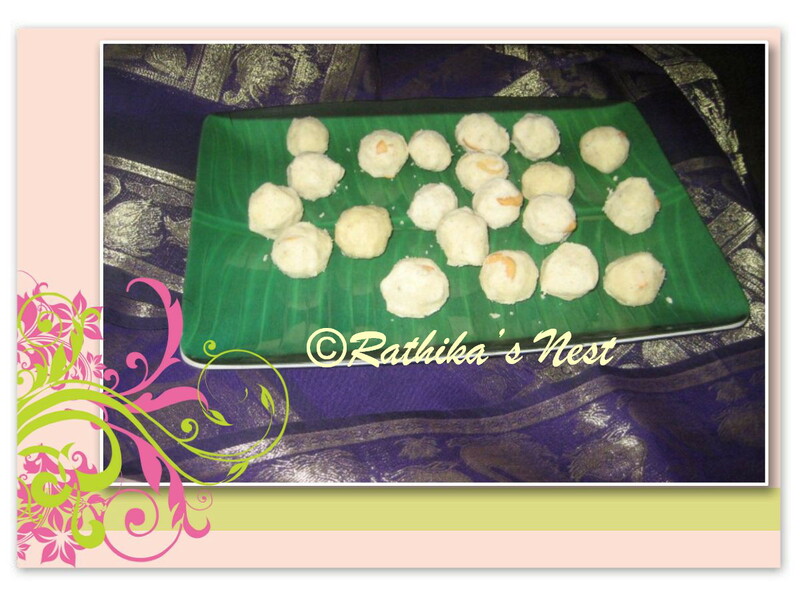 I have shared several 'sweet' recipes on Rathika’s Nest. This Diwali, I wish to share with you a traditional recipe that can be made with minimum cooking time. 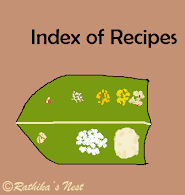 Rava laadu (ரவா லாடு) is simple, easy-to-make, and requires hardly anytime on the stove. What’s more? You can make it with the ingredients that are readily available at home. Please follow these easy steps to make this yummy sweet. Step 1: Roast rava in a kadai till it turns golden brown. Allow it to cool.Later powder the roasted rava rava using the mixer grinder. Step 2: Remove cardamom seeds and powder them finely. Step 3: Grind sugar into a fine powder using the mixer grinder. Step 4: Mix powdered sugar, rava and cardamom in a wide mouthed vessel. Step 5: Heat ghee in the kadai and fry cashew nuts till they turn light brown in color. Pour the ghee and fried nuts into the bowl. Step 6: Mix the contents well and shape into balls while the mixture is still warm. Your rava ladu is ready! Click here to find more sweet recipes.